Cette année, l’ICS a renforcé le dialogue avec ses parties prenantes en développant de nouveaux partenariats ainsi qu’en organisant et en participant à des événements comme la table ronde co-organisée en février 2017 conjointement avec l’OCDE, sur la problématique des travailleurs migrants dans les chaines d’approvisionnement textiles et chaussures. En 2018, l’ICS et l’ITC collaborent autour du renforcement de la résilience climatique dans le secteur textile marocain. The office of the French National Contact Point (NCP) is housed in the Treasury. It is composed of representatives from several ministries, trade unions and an employer’s federation. The NCP conducts promotional activities and contributes to enhancing the implementation of the OECD Guidelines. 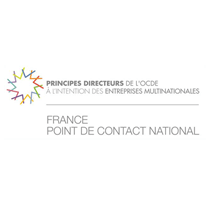 The NCP examines “specific instances” that are issues concerning potential non-compliances according to the Guidelines by French multinational enterprises in the world or by foreign companies in France. The French NCP and ICS have been closely collaborating for several years as ICS shares its annual tools and methodology updates with the NCP. Among others, ICS has been invited to the stakeholders meeting in the context of the NCP Peer review in April 2017 and the NCP has participated to an ICS plenary meeting in September. The French NCP and ICS will continue to work together in 2018 and look forward to enhanced cooperation between the two organizations. The OECD (Organisation for Economic Co-operation and Development) promotes policies that will improve the economic and social well-being of people around the world. 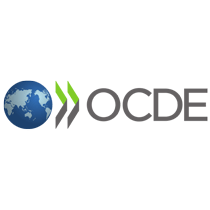 The OECD is the home of the OECD Guidelines for Multinational Enterprises, the most comprehensive set of government-backed recommendations on responsible business conduct in existence today. Implementation of the Guidelines is facilitated by practical sectoral due diligence guidance covering the agricultural, extractive, financial, mineral and textile and garment sectors. The sectoral guidance is used worldwide by companies to identify, prevent and mitigate their actual and potential adverse impacts in their supply chains. In 2017, the OECD welcomed ICS in the Advisory Board to the OECD Due Diligence Guidance for Responsible Supply Chains in the Garment and Footwear Sector. The OECD and ICS also co-organized a session on the employment of migrant workers during the 2017 OECD Roundtable on Due Diligence in the Garment and Footwear Sector. 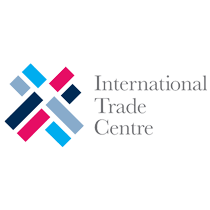 The International Trade Centre (ITC), a UN agency in Geneva, launched in September 2017 its Sustainability Map platform (www.sustainabilitymap.org), which offers users a database of industry sustainability and certifications, codes of conduct and audit protocols, as well as several market analysis modules and the possibility for companies to create a profile and develop a public or private network with their buyers or suppliers. ITC has been collaborating with the ICS for several years, including the referencing of the ICS in the sustainability standards database. With the launch of the Sustainability Map platform, it is a new chapter of collaboration that opens up for 2018, with great potential to help retailers and brands, manufacturers to connect to their direct and subsequent suppliers and implement successfully their responsible sourcing policies, their adherence to national and international sustainability standards in the agri-food, textile and electronics sectors.